This month’s Best Bites is filled to the brim with new menus, savory dishes, and even a few sweet offerings sprinkled in! At both Disneyland Resort and Walt Disney World Resort, there are new breakfast, brunch, and lunch offerings as well as some DELISH items for Dapper Days, new dishes at Lamplight Lounge, a tasty cupcake at Disney’s Port Orleans Resort – French Quarter, and even a new coffee bar at ESPN Wide World of Sports. 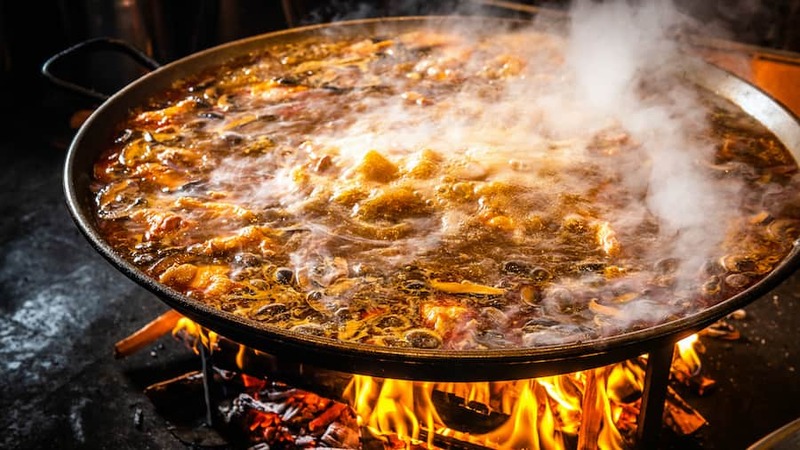 Starting at Walt Disney World Resort, the recently-opened Jaleo by José Andrés and its attached quick-service restaurant, Pepe, are now open for lunch and dinner daily starting at 11:30 a.m. Just head on over to Disney Springs to feast on the flavors of Spain at both of these locations, offering authentic Spanish tapas, paella, sandwiches, gazpacho, and more. Over on The Landing at Disney Springs, Wine Bar George is now serving brunch! You can now enjoy Wine Country Brunch on Saturdays and Sundays from 11 a.m.-3 p.m. 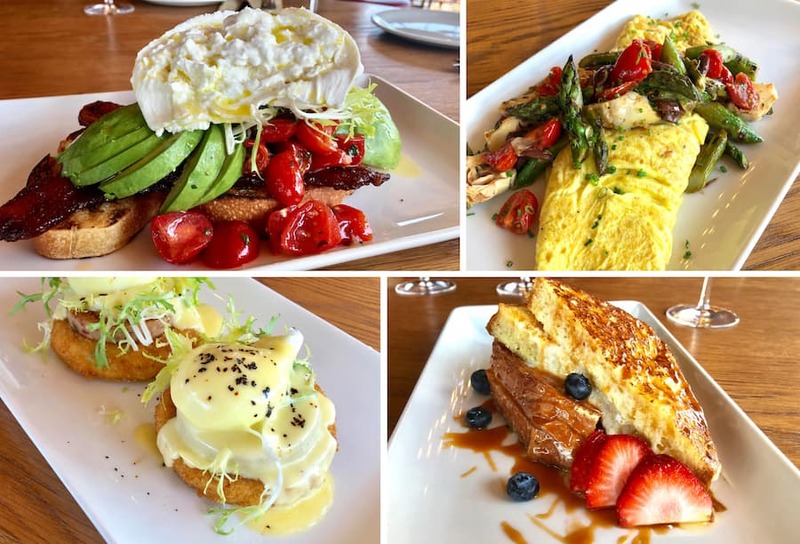 Menu highlights include savory dishes such as Burrata with avocado and bacon, Wine Country Omelet with artichoke, asparagus, and an olive and tomato medley, and Eggs Benedict with house-made chicken sausage, hollandaise, and crispy polenta cake. There’s also the classic Sausage Gravy and Biscuits plate which comes with house-made biscuits and bacon. For a hearty option, the mouthwatering Steak & Eggs Frites is a great option with skirt steak, eggs, and sriracha hollandaise served over warm steak fries. On the sweet side, you’ll love the French Toast dish with brioche, mascarpone, and caramel sauce. And of course, it wouldn’t be a brunch without a fresh mimosa! Featured on the brunch menu is the Frozcato Mimosa made with Dole Whip Pineapple, Moscato, and prosecco – YUM. Other refreshing beverages include the Aperol Rosé Spritz, sangria, frosé with rosé, vodka, and strawberry, and the Wake Up Call with espresso-infused barsol pisco and espresso liqueur. In addition, you can now purchase a Wine Bar George limited edition stemless cup (that keeps drinks chilled for up to 9 hours!) 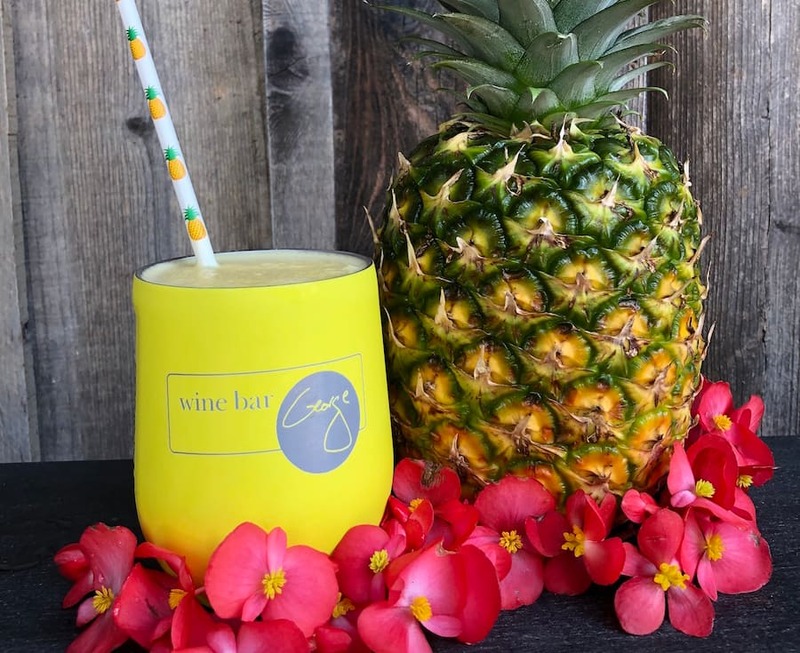 and your cup will be filled with Frozcato, a refreshing beverage made with Dole Whip Pineapple, Moscato, and Vodka at no charge. Your beverage will include a festive paper pineapple straw and is available daily for $35 while supplies last. Speaking of wake up calls – if you’re looking for a great way to start your day at Disney’s Wilderness Lodge, Whispering Canyon Cafe recently debuted an amazing array of breakfast skillets. There’s something for everyone, from the Heritage Skillet and the Carnivores Skillet to the Lighter Side Breakfast Skillet with egg white spinach frittata. Oh, and did I mention that there are MICKEY WAFFLES, too? For all the juicy details, check out my recent blog post detailing each dish. 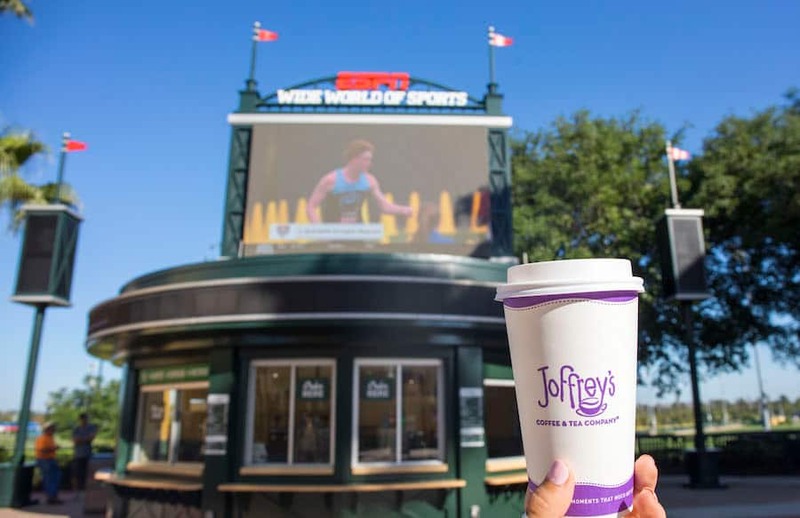 Next up, Joffrey’s Coffee & Tea Co. has opened a brand-new location at ESPN Wide World of Sports Complex. This new quick-service location is located at the former Welcome Center and offers a variety of beverages and menu items. Sip on artisan roasted coffees, teas, and lattes as well as pastries and other specialty items including breakfast sandwiches, acai bowls, and other healthful alternatives. Exclusive to the location is “The Game Changer” – a new cold brew specialty beverage with a shot of espresso and light cream. Last up at Walt Disney World Resort, Mardi Gras might be over, but did you know you can celebrate it year-round at Disney’s Port Orleans Resort – French Quarter? 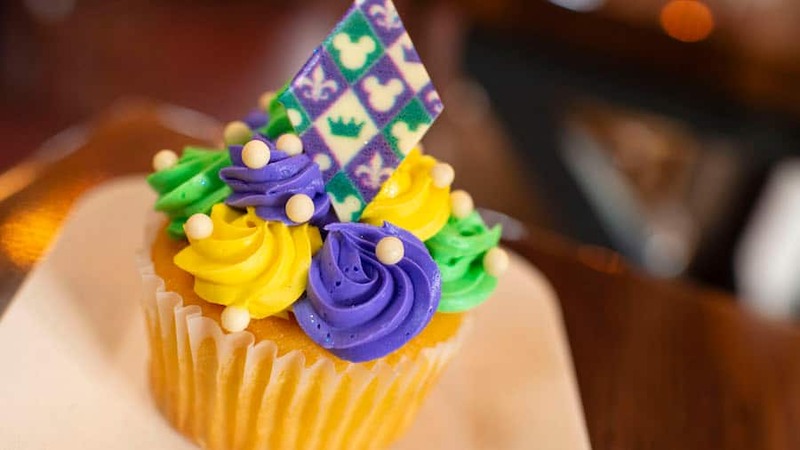 In addition to classic Cajun dishes and sugar-dusted beignets, you should definitely try the Mardi Gras Cupcake. This vanilla cupcake comes filled with chocolate buttercream and is topped with vanilla buttercream icing – you can find it at Sassagoula Floatworks and Food Factory! At the Disneyland Resort – Disneyland park offering a few specialty offerings, available this weekend April 13 and 14 only. Try the Classic Brownie á la Mode at Hungry Bear Restaurant. It’s topped with vanilla ice cream, caramel sauce, whipped cream, and a cherry. At Harbour Galley, share a Cheese Fondue for Two with your sweetheart. This white cheddar cheese sauce comes served in a sourdough bread bowl with broccoli, cauliflower, bell peppers, tomatoes, carrots, mushrooms, and andouille sausage. And over at French Market, you’ll love the Bowtie Pasta with caramelized beef, sweet onions, herbs, and mushrooms in a cream sauce. Rounding out Best Bites this month are two new sharable dishes on the “Shorts” to Share menu at Lamplight Lounge. Chow down on the new Kobe Beef Sliders with beer and bacon cheese sauce, tomato-habanero chutney, lettuce, and pickled onions served on toasted Amish buns. You can also enjoy the Spotlight Nachos – a new rotational nachos dish that you definitely won’t want to miss. Right now, you can enjoy the Barbacoa Nachos with chile-spiced beef barbacoa and house-made tortilla chips topped with pinto bean purée, spicy tomatillo salsa, onions, cilantro, chipotle cheese sauce, queso fresco, and pickled jalapeños. Okay, I don’t know about you but I am DEFINITELY hungry after writing about all of this delicious Disney food! If you’re wanting to try it out for yourself, you can find out more info and make reservations calling or going online. For the west coast, visit the Disneyland Resort website or call 714 781-DINE (714-781-3463). For the east coast, visit the Walt Disney World Resort website or call 407 WDW-DINE (407-939-3463). Happy snacking!